A traditional bathroom, like those found in the houses of Queens or the brownstones of Brooklyn, would be incomplete without porcelain tiles somewhere in the decor. Even the modern bathrooms found in the ritziest apartments in Manhattan benefit from the inclusion of a porcelain tile backsplash, listello or shower stall. 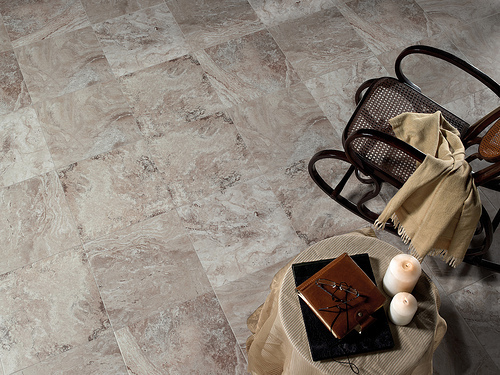 As they are easy to clean, porcelain tiles speak of cleanliness and good hygiene. As they are arranged in orderly and beautiful ways, they speak of control. Their beauty not only adds to the decor of the room but is a source of comfort and relaxation. 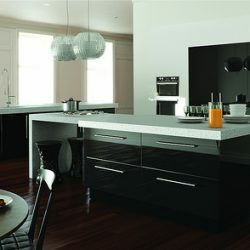 The durability of porcelain, and its resistance to mould, mildew and penetration by water adds a feeling of security. Porcelain can be hard or soft paste, and hard paste porcelain is the type most often used in bathrooms. This type of porcelain was created or at least perfected by Johann Böttger, who was an apothecary’s assistant in Berlin, Germany in the early part of the 18th century. Hard paste porcelain is traditionally made out of kaolin and petuntse. Kaolin comes from weathered feldspar, which is a type of mineral, and does not melt even at the very high temperatures found in a regular kiln. Petuntse is made of feldspar, potash or soda and silicate of alumina and is used to hold the kaolin in suspension. This gives hard paste porcelain its glassy, smooth and hard texture. The mixture is first fired at temperatures of between 1,112 to 2,652 degrees Fahrenheit, then is covered with a coating of glaze and fired at 2,462 to 4,532 degrees F. This intense heat is enough to fuse the glaze to the hard paste body. The tile can also be polished instead of glazed. When tile is colored, the color penetrates throughout the tile, so it will not chip or fade. Hard paste porcelain can be mild or severe. It is considered severe if there is a large percentage of kaolin in the mix and mild if the percentage of kaolin is low. A tile made of severe porcelain is rougher to the touch and harder to decorate than a tile made of mild porcelain. Mild porcelain feels good to touch and is also easier to decorate. 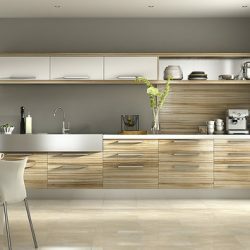 Porcelain tiles come in all sizes, shapes and colors and for the well-heeled homeowners and apartment dwellers in Manhattan, Queens and Brooklyn they can be custom made. One owner of a Brooklyn townhouse even had his tiles dyed blue and made in the form of ocean waves. But usually they come in sizes of one to 12 inches square. They are also made in mosaic tiles, which are usually one or two inch squares or one by two inch rectangles mounted on mesh or sheets. 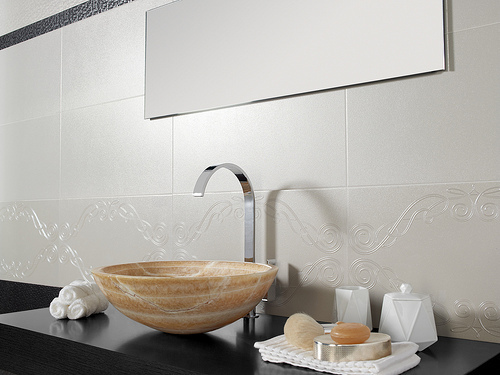 Besides its beauty and durability, tile made from porcelain is versatile. It can be installed on walls, vanities, tub decks and shower stalls. 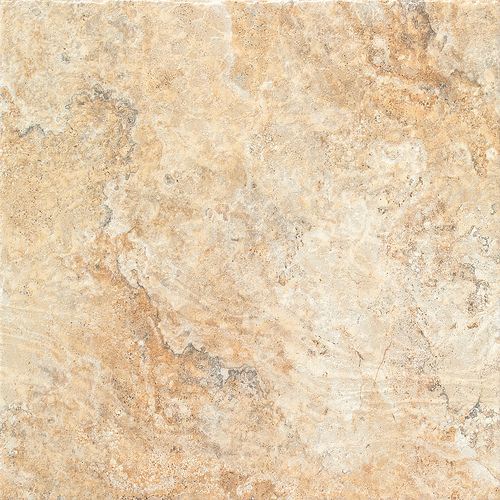 It can also be placed on the bathroom floor, though not all porcelain tile is rated for the floor. Porcelain, like other ceramics, can be brittle and needs to be thick and tough enough to withstand the heavy traffic that’s usually found in bathrooms. One other drawback with porcelain floor tile is that it is a bit chilly to bare feet. But there’s a remedy for this, too. More and more homeowners are having radiant heating installed beneath the bathroom floor. It may be possible for apartments in Queens, Manhattan and Brooklyn to have radiant heating under the floor, but the occupants might need to check with the landlord or the co-op board first. Homeowners in Manhattan, Queens and Brooklyn should look for professionals in their area if they want porcelain tile installed in their bathrooms.